Brooke joined the Cedar Rapids Smile Center in 2014. She graduated from the University of Iowa in 2009 with a Bachelors degree in Health Coaching and Integrative Physiology. She is a 2011 graduate from Kirkwood Community College in the Dental Hygiene program. Brooke and her husband Levi enjoy biking, running, camping, and Iowa Hawkeye Athletic events. They have one fur baby name, Mr. Kitty. Alice has worked for Dr. Yossi for over 20 years. 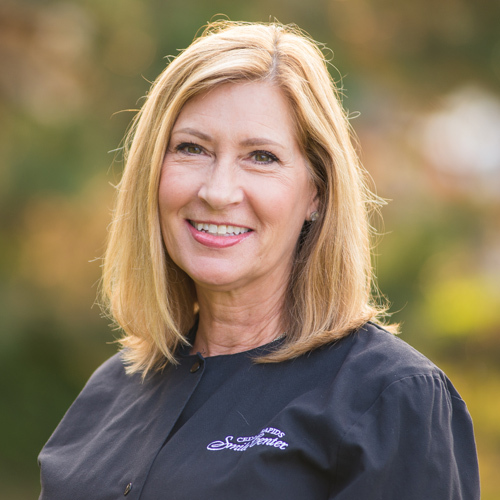 She received her Bachelor's degree in Dental Hygiene from the University of Iowa and has over 30 years of experience. Alice enjoys reading, traveling, needlework, gardening, and her grandchildren. She has a son, Nick, and a daughter, Lizzy. She has five grandchildren: Riley, Lily, Ellie, Nemo, and Charlotte. She considers many patients to be “family” and feels honored to be able to provide healthcare to all patients. Andrea joined Cedar Rapids Smile Center in July 2016. 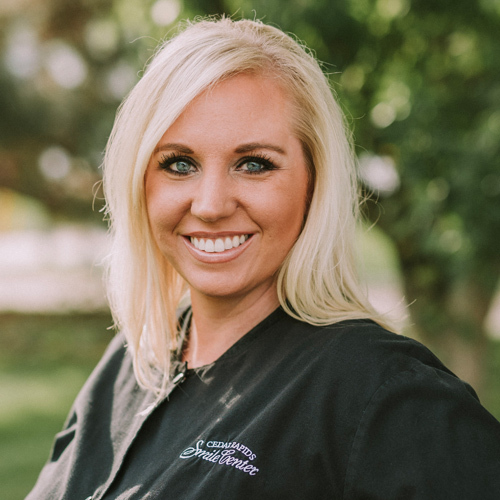 She graduated from Kirkwood Community College in 2015 with an Associate of Applied Science degree in Dental Hygiene and has been practicing dental hygiene in the Cedar Rapids area ever since. Andrea has two daughters who keep her very busy. She enjoys attending their dance events, performances and competitions. They have two dogs, Buddy, an Aussiedoodle, and Rudy, a Poogle. Andrea likes getting together with her family for bonfires and cookouts, she also loves to cook and bake. 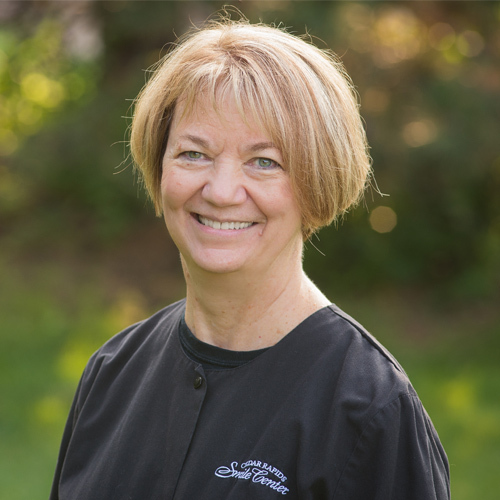 Ellen attended the University of Iowa and graduated with a Bachelor's degree in Dental Hygiene and has been a dental hygienist since 1978. 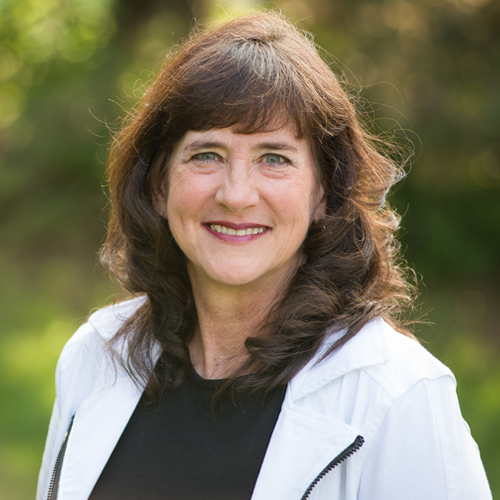 She has over 40 years of experience, the last 30 of which she has worked with Dr. Kent Willer and Dr. Dennis Yossi. Ellen and her husband Dwight have been married for 40 years. They have three children, two sons, Zach and Sam, and one daughter, Amy. Ellen enjoys traveling, cooking, reading, golfing, spending time with family and spoiling her grandchildren. Kristi has an AAS degree from Kirkwood Community College. 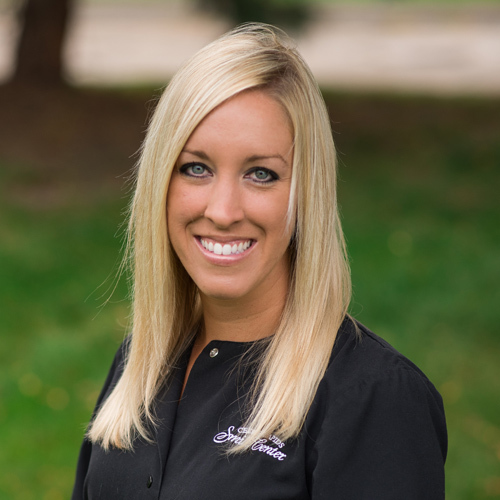 She has been a dental hygienist since 2009 and joined the Cedar Rapids Smile Center in March 2010. Kristi's husband Kyle is a HVAC/refrigeration service tech at Brecke Mechanical. They have three children, Ethan born in 2005, Kora born in 2012, and Kyson born in 2019. Kristi enjoys waterskiing, spending time with friends & family, decorating, playing cards, art, boating, snowmobiling, gardening, spending time at the river, cooking, and traveling. 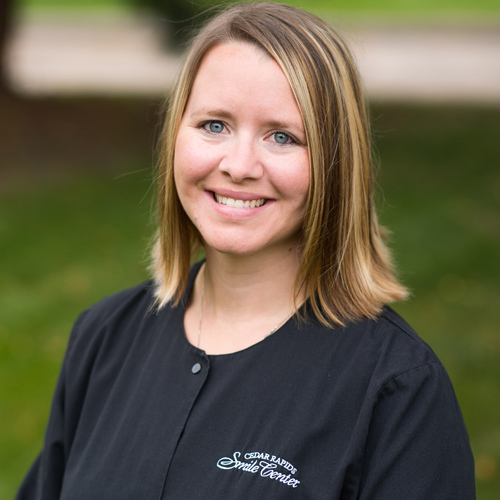 Shelbie joined Cedar Rapids Smile Center in September 2016 and has been practicing dental hygiene since 2011. She graduated from Hawkeye Community College with an Associates of Applied Science degree in Dental Hygiene. She is married to her wonderful husband Maurice and they have two daughters Razaya and Kinsley. In her spare time she enjoys camping, scrapbooking, boating, running and spending time with her family and friends. 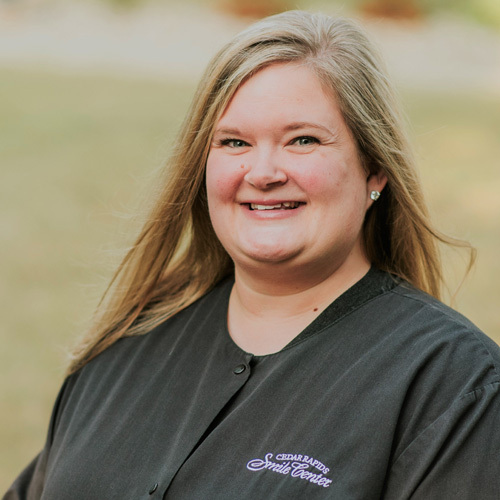 Jillian started at the Cedar Rapids Smile Center February 2017 and has 20 years of dental experience, 13 years as a dental hygienist. Jillian's main goal is to make every patient feel comfortable and important. 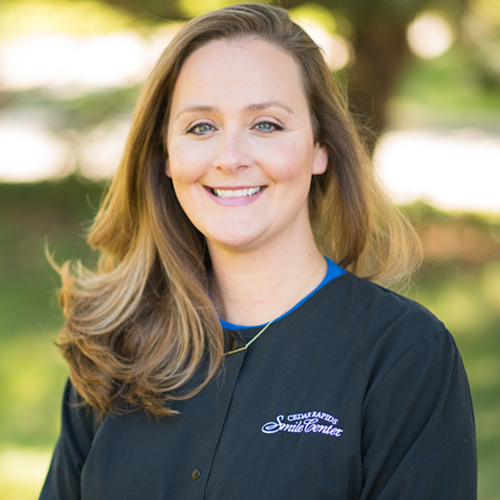 She wants to educate her patients about their unique dental needs without the lecture. She feels that her job revolves around making long-lasting relationships. Jillian is looking forward to meeting you and your family. In her spare time, she enjoys being outdoors with her husband, Joe, and their kids, Oliver and Natalie. They love being on their boat on the Mississippi River. She also has a horse that she does show jumping with, a black lab named Ben, who is always with them wherever they go.